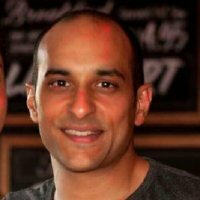 Sandip joined the team in September 2014, bringing his knowledge and experience of working with external partners to the team. Sandip’s role has evolved from promoting open data with external partners to representing Data Mill North across the city as well and communicating the work done by Leeds City Council and its partners via Twitter, Facebook and the quarterly newsletter, Data Speak. He regularly writes blogs which are published on Data Mill North and other sources and also trains and advises publishers on all aspects of Data Mill North and open data.